Discussion: Cook County Government at Midterm: What Should We Work On Next? Take a look at our Midterm Report, a review what we've accomplished in our second year, and what we look to do in 2013 and beyond. Although we've done quite a bit, there is still a lot to be done. What are the top 3 things Cook County Government should concentrate on in 2013? Should we hold the line on taxes and expenses? What should we do about overcrowding at Cook County Jail? How can we make doing basic transactions with the County easier and more convenient? So tell us, what should we work on? Discussion: What is a land bank and how can it help drive economic development in Cook County? 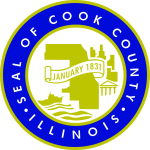 On January 15, 2013, the Board of Commissioners unanimously approved an ordinance to create the Cook County Land Bank Authority today, making it the most populous county in the United States to establish the innovative planning tool. The Land Bank Authority is being created as an agency of the County so it can help return vacant and abandoned properties to productive use. It will promote the re-use and redevelopment of vacant, foreclosed and tax delinquent parcels in Cook County and work collaboratively with targeted municipalities to decide which properties to acquire and how they should be restored. Across the country, land banks have proven to be an effective tool to address the challenges surrounding vacancy, reverse the downward cycle of decline and decay, facilitate the transfer of property, and promote economic development and neighborhood stabilization. More than 80 local governments in 23 states have created land banks to turn vacant land from a liability into an asset. “The land bank will provide another tool to strategically bring vacant buildings into productive use in cities and towns throughout Cook County,” said Mayor Rahm Emanuel, who will appoint a representative to the Land Bank Authority’s board of directors. Cuyahoga County, OH, Genesee County, MI and the Twin Cities in Minnesota are 3 examples of successful Land Bank programs. Click on the links below for more on each of these outstandidng programs. A 13-member board will oversee the Land Bank Authority. It will be comprised of individuals from a variety of fields, including banking, real estate and development, to ensure the land bank can be nimble in responding to market demands. Critical to the success of the land bank will be its ability to hold property on a tax exempt basis to keep down costs and extinguish back taxes and clear title. Click on one of the topics at upper right and give us your idea or thought. Passing the 2013 Cook County Budget is a dynamic process of question, answer, evaluation and response between the Cook County Commissioners, the Office of the President, the Budget Department and the agencies and bureaus of Cook County Government. In this discussion forum, we will show all of the questions that Commissioners have about the 2013 Budget and the answers to them. We encourage you to discuss your thoughts and ideas as well. Discussion: What Should We Invest in to Make Cook County Communities Stronger? Recently, Cook County Board President Toni Preckwinkle spoke before the Federal Reserve of Chicago on the challenge of investing in communities. The speech was part of the Fed's "What Works" program, http://www.whatworksforamerica.org/ . We'd like to focus this discussion to Cook County? What do you think we need to invest in if our goal is to build strong communities in Cook County?